Written by: Greg Zelnik on September 29, 2014. Everyone has 24 hours in a day. Yet some people seem to have more time than others. It is not how much time that we have but how we choose to spend our time. 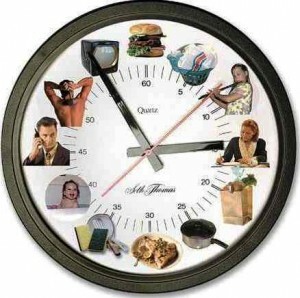 Everyday we have choices and decisions on how to spend our time. This past weekend was very rewarding. Saturday was especially busy with a goal setting meeting early in the morning which needed to end in time to take my son to his soccer game. The timing was perfect for me to get to watch his game and get to my shows in the afternoon on time. Trevor is having a lot of fun playing soccer and I am having as much fun watching him play and become a better player. My to-do list seems to be never ending. There wasn’t anything specific scheduled for Sunday so I could have used that time to get a lot done but instead I chose to spend it with Trevor and Melissa. We took the light rail uptown, went to a museum (free on Sundays) walked around uptown, stopped for a snack and took the light rail back home. The day was nothing too exciting, just getting out and spending time with the kids. It was relaxing, the weather was perfect, and it was just great family time. Yes we need to get things done. We usually feel pretty good when we can mark things off our to-do list but we still need to remember to make time for other things that are just as, if not more, important. This is an easy thing to say but not always an easy thing to do. I am writing this more for me than for you. We all need reminders from time to time. This weekend was a great reminder for me and I just wanted to share it with you. I am going to Make the Time more often for the things that are most important to me. Until next time keep smiling and have a great day.